BPD Commissioner William Goss is defending the comments he made about the ACLU, in which he referred to the organization as "paper warriors." Boston Police Commissioner William Gross defended a post he wrote on social media, slamming the American Civil Liberties Union of Massachusetts for a lawsuit the organization filed against the police department. "Can you walk a mile in our shoes? Can you walk a couple of steps?" asked Gross of the ACLU during an interview with reporters on Tuesday. In a post on his personal Facebook page, Gross called the organization "paper warriors" and criticized them for failing to acknowledge the challenges officers face every day of their work. "We are busting our butts out there," Gross said. "Can we not be painted with a broad brush? Can you listen to us?" Over the weekend, the ACLU called Gross' post a "distraction" from the issues they have tried to address. Their lawsuit was filed earlier this month in an attempt to obtain information as to how Boston Police tracks suspected gang members and chooses to enter them into a gang database. "We want to make sure that communities of color are not inappropriately targeted," said Rahsaan Hall, an attorney for the ACLU. The lawsuit, according to Hall, was in response to public records requests he said the department did not answer. "The facts of this case justify what we did," Hall argued. "People can be the subject of an unlawful stop because their name is included in the gang database. People can be deported because of the allegation of them being included in the gang database." Gross, a friend of Hall, said he hopes to sit down and meet with organization. Despite the conflict, the city's mayor voiced his support for both sides. 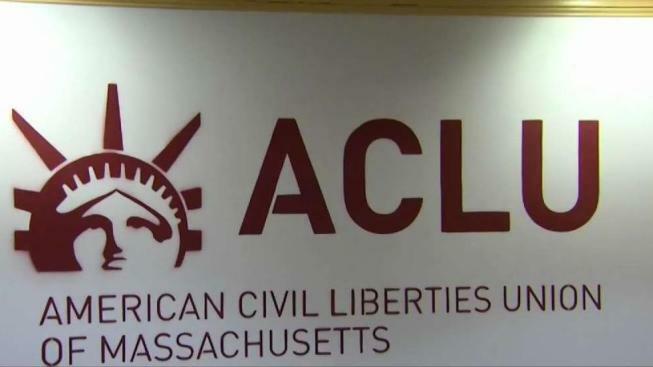 "ACLU has a job to do and I certainly support what their job is, and I also support the work of the commissioner and his department," Boston Mayor Marty Walsh said.